Looking back on my Freshers’ week, one of my biggest worries was whether or not I would make friends. Understandably, arriving at university can be very daunting, overwhelming and unfamiliar. No one from my high school came to the same university as me and so I was worried I would feel homesick and out of place. But within my first week at Lancaster, I realised that I had nothing to worry about. Freshers’ week gave me a chance to settle in and get to know people without having to worry about lectures or my timetable. Of course, you’re going to miss your friends and family. It’s natural to feel homesick as for most people it’s the first time they’ve ever been away from home. My best advice to you would be to try to get involved in as much as possible, to keep busy and enjoy yourself. To help you make the most of university, I’ve put together a few tips and advice on things I wish I had known when I was a Fresher. First of all, joining societies is a must. One of the best ways to make friends at university is through joining societies, as you can share your interests and spend time together. There is something to suit everyone from Archery to Harry Potter or Cheerleading to Acapella. Make sure you check out the Freshers’ Fair and have a chat with some of the existing students. This will give you an idea of which societies you might want to join. This is your chance to try out new things and make some friends at the same time. It’s also a very good way of building your CV as many employers want to see your personality through extra-curricular activities. Societies associated with the Management School (Entrepeneurs, Economics, Bright Futures, etc.) often put on events which will help fill out your CV. If you give societies a pass in the first term (it’s a busy time, after all! 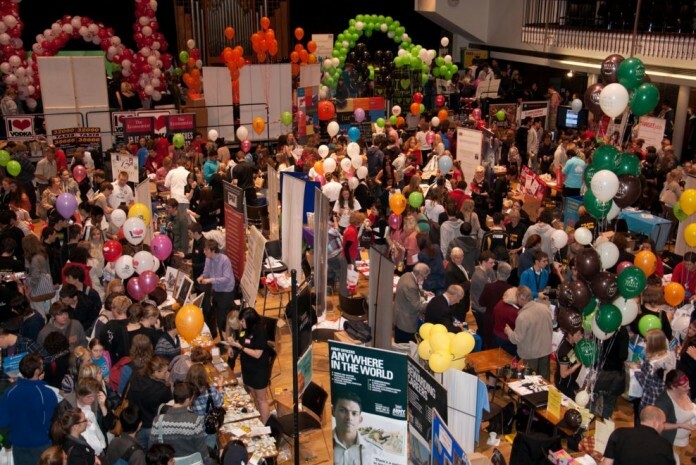 ), there is a ‘Refreshers Fair’ at the start of the second term where all the societies will have stalls in the Great Hall, so don’t feel like you’re missing out if you don’t jump in right away. Secondly, at the beginning of term, you may feel like you have a lot of money, but trust me it will run out very quickly. For those of you who haven’t realised yet, ‘the student budget’ is what you’re about to face. For the next three years, your diet will most-likely consist of low-priced, economy meals, budget snacks and cheap ciders. You will have to try and make the most of all the cheap (or free) things available to you. You don’t want to waste all your money on vodka and takeaways before term even properly begins, so take it easy. Luckily, the university does provide lots of events for free. There will be loads of free events taking place throughout Freshers’ week, so invite your flatmates and take advantage of them. My final piece of advice is on drinking. Lancaster has a student bar for each college and a student nightclub called Sugarhouse, managed by the student union. If you’re thinking of getting involved in some of the nights out during Freshers’ week, make sure you stick with friends especially if you don’t know the area yet. Try not to drink too much at pre-drinks as you don’t want to be the only one who didn’t make it out. Also, embarrassing stories from Freshers’ week are likely to come up again throughout the year so unless you can shrug it off, try not to be that flatmate! It’s a wide-spread assumption that university life revolves around a party-hard drinking culture however, this might not be a popular choice for some students. If you’re not a big drinker or don’t fancy the nightclub scene, do not worry. There are loads of other things to do in town and on campus. For example, Take 2 Cinema shows recent film releases on campus at student prices! There are also places on campus where you can play Pool or you can just have a movie night in with your mates. University will give you the best three years of your life if you make the most of it, so jump right in at the deep end and get involved in anything and everything you can. Whatever you choose to do during Freshers’ Week, make sure to enjoy it. Everyone else at university is wishing they could go back to being a Fresher, so please enjoy it on our behalves too.